Fond of Snape » Blog Archive » what a summer! CONGRATULATIONS!!! How Wonderfully exciting! Many Happy Returns……!!! I’m positively thrilled for you!! Congratulations! May you have a long and joyfilled life together! Such. A. Wonderful. Story. Congratulations, you crazy kids! Yay! Congratulations! And on the beach — what a dream. 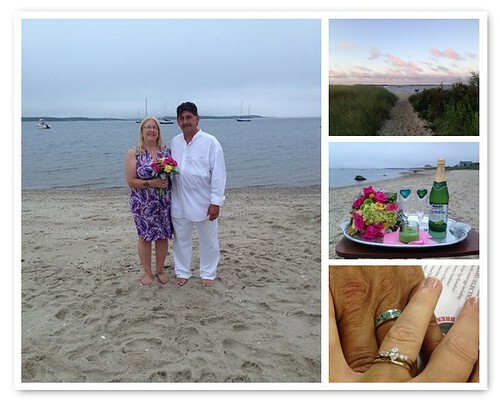 Absolutely thrilled for you–such a romantic story and wedding. Your rings are stunning. Oh my!! SO happy for you! !